Behind every successful entrepreneur is a team they delegate the work they don’t love to, so that they can focus on the things they do love. I found my first Virtual Assistant, Margaret, in February 2012. I hired her just two weeks before I headed off on my 6,500 cycling expedition down the east coast of Africa, which meant I’d be offline for over two months. At first I had concerns about if she could handle the job, what if she screwed up, what if she stole my work or screwed up my customer relations….and then I got over myself, trusted in her and left her to run my business for two months while I cycled through an astounding continent! Outsourcing was a necessity for me, and since then I have hired over 30 contractors throughout the years to help me, not only run my business, but to grow it, and to make sure I get out of the way when needed. If you want more time and money, outsourcing is the key. And it starts with delegating your daily to-dos so you can start to see the immense freedom that comes from stepping aside and giving up control of all the things you just shouldn’t be doing. There’s a lot of juicy goodness in this podcast so listen up and take notes! [TOOL] Upwork is an online community of talented virtual workers from around the world who want freelance work, and companies who need their skills. [FREE TRAINING] Watch my 23 minute video training to learn ​5 steps to getting more free time starting this week. I think the month of May is going to be magical. It’s that time of the year when there are no excuses to really dive into the important work and achieving your business and lifestyle goals. Make my first revenue with my new ecommerce business with boutique dog products. How will May be Magical? 2) external accountability to keep you on track when you falter. Mindful in May is like a personal training program for your brain, where you’ll be training to be more focussed, calm and effective in all areas of your life! What I like about it is, that regardless of whether you’re a complete beginner or a more experienced meditator you’ll really experience a transformation. I know from just doing 5-10 minutes a day of meditation for the last 4 months, I already feel more grounded. For goal 2) I’m properly committing to a fitness and nutrition program I invested in a few months back and following the easy and efficient food plan this week. Then from next week we’ve signed up to MyFoodbag, which is a cool service here in New Zealand that delivers you the exact amount of healthy food you need plus four dinner recipes, so you just have to cook! And finally for 3) just hosting the $3K in 3 Months Freedom Lab is ensuring I turn up daily to release lessons on what I’ve learned, do my research and share all my experiences with the members who are building their first ecommerce business alongside me. If that ain’t accountability and responsibility plus massive incentive, I don’t know what else is. A calendar blocking technique that’s allowing me to juggle 3 business projects that you might like! If you prefer video, I shot this episode as a Facebook Live for you inside our Freedomist Collective group. Do you need to unclutter your life? Are you bogged down by too much stuff? Are you spending money on things you just don’t need? 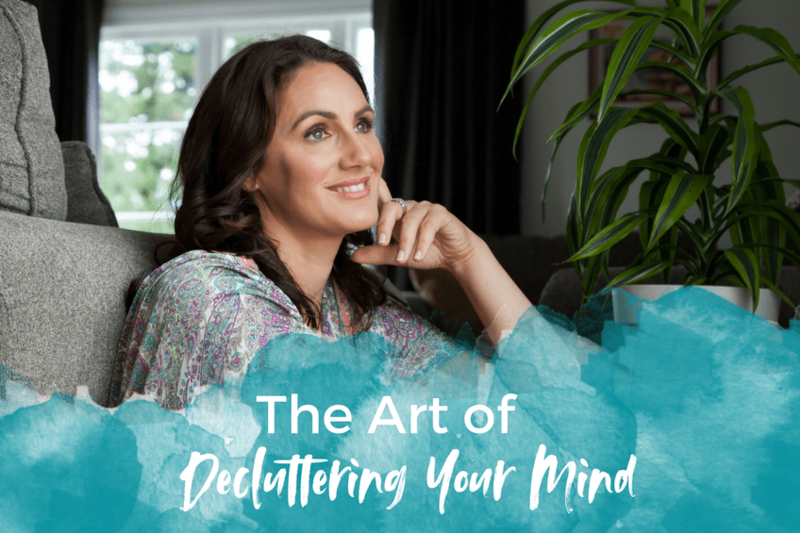 Well then, let me tell you that if you choose to unclutter your life you will actually feel lighter, more joyful and more personally and financially free. In an earlier podcast I covered off on the Art of Minimalism and all it’s benefits. I practiced this for seven years when I lived out of my suitcase and those were some of the most freeing years of my life. I had a rule. If I bought something new – an item of clothing or a toiletry item for example, then something had to be taken out to accommodate it. That thing that I was ‘releasing’ would be donated, sold or given away to a friend I was visiting, and if they didn’t want it, I asked them to give it to someone who needed it most. The result was I rarely bought anything I didn’t truly need, value or love. It was such a good feeling. And those are still my three criteria now we have a gorgeous property and large house, that we could easily ‘overfill’ with too much stuff. Take Uncluttered – A 12 week course and community, Uncluttered is designed to open up space in your life for the things, activities, and people that are most important to you. So there’s something important you’ve been wanting to do for a long time, but fear is holding you back. Maybe it’s quitting your job to launch a new business, asking out that special person you’ve had a crush on for years, or even standing up to someone who has wronged you. You know what you need to do, and you know it will help you to grow, but you can’t quite do it. There’s a weight inside you that is stopping you from taking action, but what if this isn’t completely a bad thing? Are you one of those people who’s constantly coming up with new ideas, only to question them a few days or weeks later, and realizing that only a handful of them actually seem to be a good idea? I’m here to tell you today not to judge your bad ideas, but to look at them at stepping stones on the way to greatness. As in your greatest and most original idea ever. In this short and sweet podcast I introduce you to Adam Grant, author of Originals and the youngest full professor at Wharton Business School. He not only has two best-selling books and a much-read Sunday New York Times column, but he’s also down to earth and highly practical.